'The Hintons' offers spacious B&B accommodation in its own private wing, business retreats with quiet, comfortable rooms and a film/shoot location with interesting spaces, gardens and meadow, all with ample parking. The 17th century, traditional brick and flint Chilterns farmhouse is situated at the head of the beautiful beach wood valley, ideal for walking, cycling and bird watching. A private wing offering a large comfortable double bedroom and private sitting room. 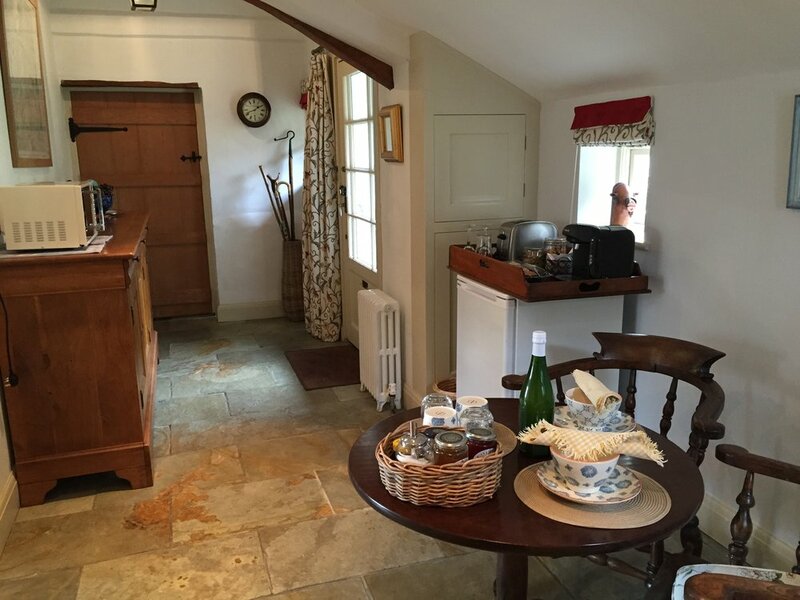 The Hintons bed & breakfast is an ideal touring or rambling base and a convenient, quiet location for business people working in London or Oxford areas. The Hintons is the ideal environment for a 'phones off retreat' for business or academic teams. With private rooms and outdoor 'stretch space', the location facilitates clear thinking time. Inside or outdoors seasonal lunches are provided. A real 'Chilterns gem' of a farmhouse. A convenient film/photo shoot location close to M40/M25. Large rooms in a 'cottage-style' 17th century farmhouse offering some high ceilings, shaker kitchen/diner, inglenook and large garden leading to meadow and beach woods. With ample parking. Wonderful walks and cycle routes across the Chilterns right from the garden. A great base for touring, close to both London and Oxford. The famous regattas at Henley & Marlow and Garsingham Opera are also on the doorstep. And lots of great places to eat after an active day! We are just a 2 mile drive from junction 5 of M40 at Stokenchurch, just below the village of Ibstone. A frequent 26 minute mainline rail service to London Marylebone Station from our nearest station at High Wycombe is 7 miles away. Visit our directions page for maps and more details.